Yoshitoshi: Fujiwara Yasumasa Plays the Flute by Moonlight. Yoshitoshi: Tale of the Forty-Seven Ronin (Masterless samurai). 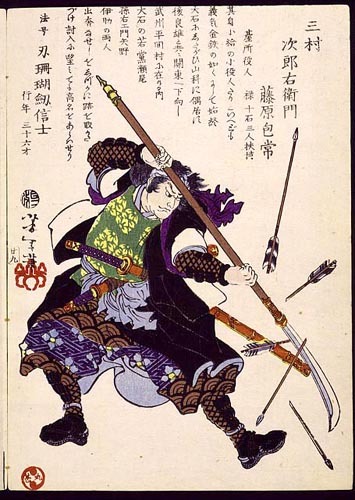 Ronin under attack, fending off arrows. Eisen: Bijin ga (Pictures of pretty women). Woman preparing tea. 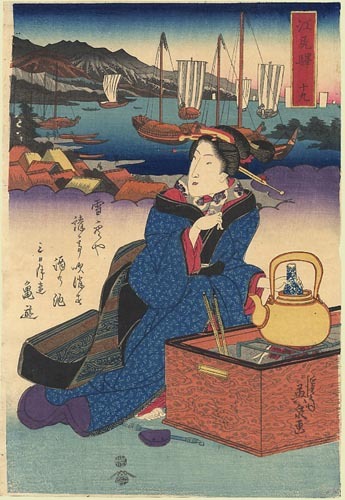 Utagawa Hiroshige II: Picture of Prosperous America . A picture of Fredriksborg Slot, Hillerød, Denmark.